While reading an otherwise well-written and well-edited book, I was bemused to note that the number of high school students in the United States had “lept” from one total to another over a given span of years. How was it, I wondered, that the fact that lept is not a word escape a writer, a developmental editor, a copy editor, and a proofreader (assuming that the manuscript benefited from perusal by each of these agents) — not to mention a spell-checking program? A moment’s thought, however, will make it clear to the writer that this progression (or is it a regression?) is not universal: The past-tense forms of beep, peep, and seep are beeped, peeped, and seeped, rather than bept, pept, and sept. (That last word is valid as a noun meaning “clan” or “branch of a family.”) More significantly, though, words identical to leap in spelling as well as sound form past tenses of heaped and reaped, not hept and rept. 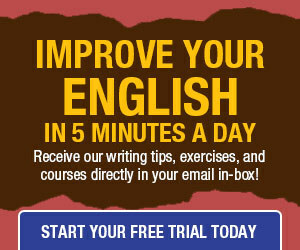 English is full of challenging inconsistencies of spelling and pronunciation: Compare the present and past tenses of read — identical in appearance but not in sound — and note the difference in tense transformation for head (headed) and lead (led), not to mention the fact that the present-tense forms are pronounced differently. 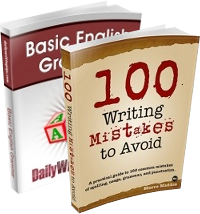 These idiosyncrasies make it all the more important for even native speakers and writers — including those with decades of experience — to consider the consequences of less-than-stringent vigilance: Nobody else may notice your mistake, either — until I pick up the published book and write a post about it. To help you maintain a high standard of diligence, remember this hypothetical penalty (one that I should post a notice about in my office): Pretend that spelling and other mechanical errors are a capital crime, and see what this imaginary impetus does for your motivation to avoid them. I always fall into that lept trap. I always grumble as I go back and change it. Oh well, eventually I will get it right, right? Please …? Naturally, I had to write a post about that. And so many writers are lead to the conclusion instead of led. Man, I grind my teeth on that one. The clerk is just a bit ahead of history, Maeve. This has been the norm since Anglo-Saxon – ‘scūfan scēaf scofen’ has become ‘shove/shoved/shoved’ … and how many people say ‘slay/slew/slain’ rather than ‘slay/slayed/slayed’? Mark, thanks for the great information. I love to get your emails that are helpful and packed full of great information. Thanks again! As a Brit, I usually opt for ‘leapt, learnt, burnt’ instead of ‘leaped, learned, burned’, but the other day in a National newspaper no less, I saw ‘smelt’ instead of ‘smelled’. Smelt is a completely different word to do with iron production, not odour! I cringed at this. I’ve been noticing more and more errors in newspaper lately, both in grammar and spelling. Standards are definitely on a downwards slide. I have often wondered about the editorial process and how many people a book goes through. I have noticed many errors over the years, and they seem to be increasing, in books by best selling authors. A few years ago I read one of the Stephanie Plumb books by Janet Evanovich (I read quite a few a long time ago). Her grandmother was causing problems at a visitation in a funeral parlor and from one chapter to the next the dead guy’s name changed. Misused words and obviously overlooked errors are very distracting to the reader who knows better. Jo, my copy of LED gives “smelt or smelled” as the past tense and past participle of “smell”. Amen to this. As a professional proofreader, I see this all the time. I’m always amazed that the mistake was never caught. It’s strange because in British English, we often use “t” over “ed”, like in dreamt, not dreamed. So what if someone missed an “a” in leapt, even the editor. I can spell easily, but most of the people around me can’t. The exception to a the spelling rules, isn’t when a word disobeys them. The exception to the rules it’s when the words do follow the rules. Also English changes rapidly, meaning you can’t stop leaped or leapt from evolving into lept! Besides I have seen “lept” in some English dictionaries. While reading an otherwise well-written and well-edited book, I was bemused to read the following sentence: “The number of high school students in the United States had ‘lept’ from one total to another over a given span of years.” Lept is not a word, so how did this error escape the eyes of a writer, a developmental editor, a copy editor, and a proofreader…?